Ryann Reed is happy to provide an array of home remodeling services in our hometown Langhorne, PA. What sets Ryann Reed apart from other contractors is the level of pride we take in our work, the quality of materials used, and the attention to the smallest of details. 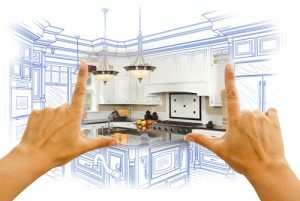 Whether the project is needed for your kitchen or a home addition, we have the capability and the experience needed to turn that dream project into a reality. Having contractors working on your home for weeks can be an overwhelming experience. At Ryann Reed, we make sure to walk you through our process from the moment you call us to the design-build of the project, and to the very end of the construction. Looking to upgrade your dated bathroom? We have you covered! A bathroom touch-up can go a long way and give that extra boost to start your day right! From tile flooring and tub replacements to vanity mirrors, we will add those extra touches to make your bathroom really pop!